For those who were born in the month of March the Aquamarine is the traditional birthstone. 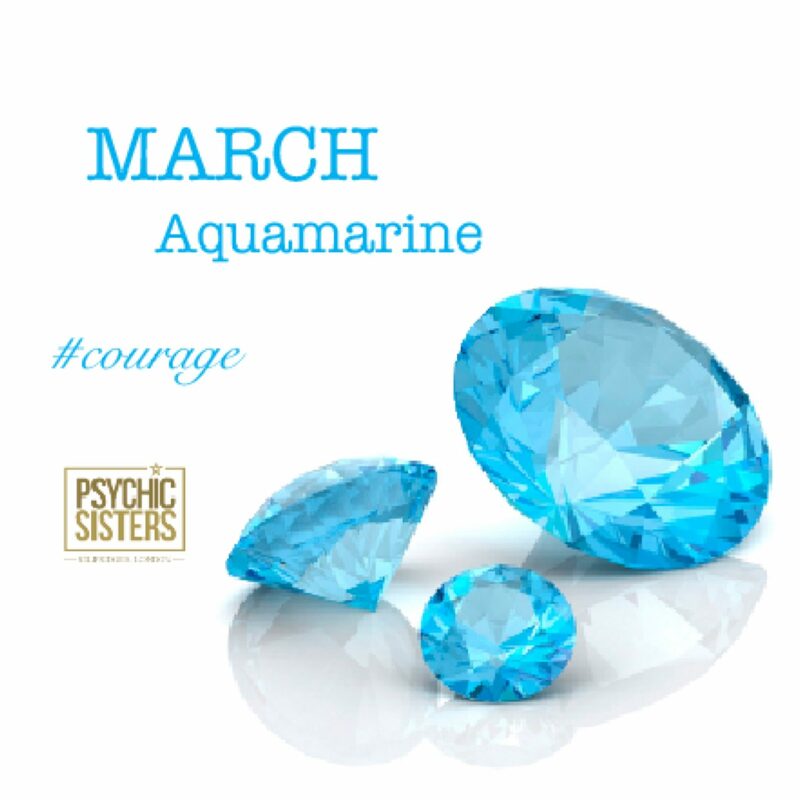 March reflects some of the properties with which the Aquamarine is associated - faithfulness, courage and friendship. The Traditional Metaphysical Properties for the March Birthstone Aquamarine are awareness, quick response and easing communication problems. The healing properties of the March birthstoneare reputed to be effective for health problems relating to throat problems and stress-related illness. We have different readers at our London Branch, all have there own unique specialities. Join the Psychic Sisters at the Los Angeles Conscious Life Expo. Psychic Sisters pristine frosted Singing Bowls are made with 99.9% Quartz Crystal and are especially designed for accurate toning. Each bowl is harmonically tuned to the note associated with each Chakra, or spiritual center, within the human body. The associated alpha waves coming from the bowls enhance relaxation and balancing. They are ideal for realigning energy in the body for healing, but also for use with Feng Shui in your living space, musical performance, meditation, and for spiritual workshops. MY PSYCHIC STORIES BY JAYNE WALLACE .